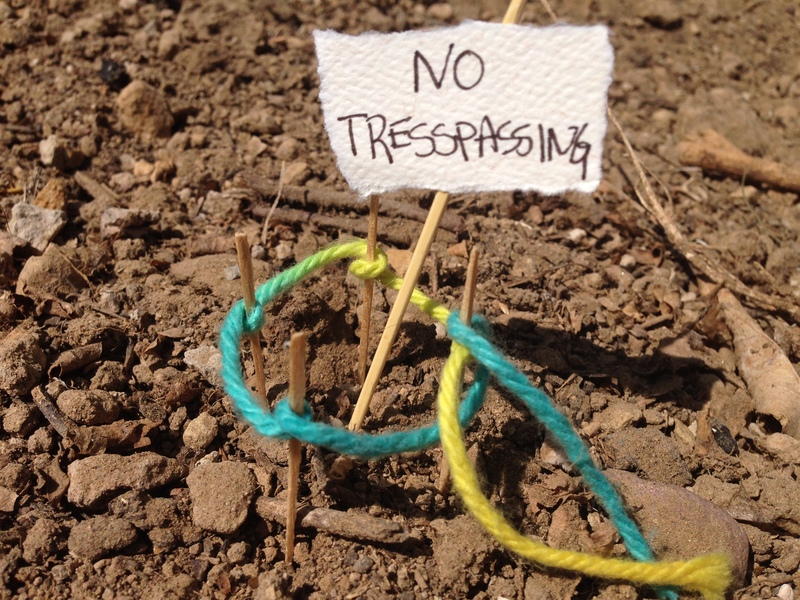 LOVE the no trespassing image. Bummer that you holdings were a myth. But how do you feel about Puffed Rice? I can’t believe my dreams have been dashed. Hopefully I won’t have to cut my retirement short and go back to work. I’m not sure I’ve ever even eaten puffed rice but I’m sure it would taste bitter. Well, that’s disappointing…back to real life. Very disappointing… I had such great plans. Not sure why I need to return to real life, though. Oh man. Why did we waste our cereal dollars on frosted flakes and rice krispies when we could have had breakfast PLUS an inch of bogus land? How I wish I had saved such memorabilia from my childhood. You could have had a worthless document AND cereal that tasted like cardboard! Keeping childhood memorabilia is both good and bad. Lots of good memories, but where to store them? Such a sham to perpetuate on both parents and children! I don’t even remember this, but probably because my mother looked down her nose at cereal, so it was rarely served for breakfast! Wow, no cereal? I bet you also missed the joys of TV dinners. My mom embraced all of the modern conveniences of the 1950’s. OMG we should all have such pipe dreams as a child. What a whale of a story. I have some prime land in Florida. Cheap. Can we talk? Although Florida sounds wonderful, I have a strict policy of only purchasing land from a cereal company. 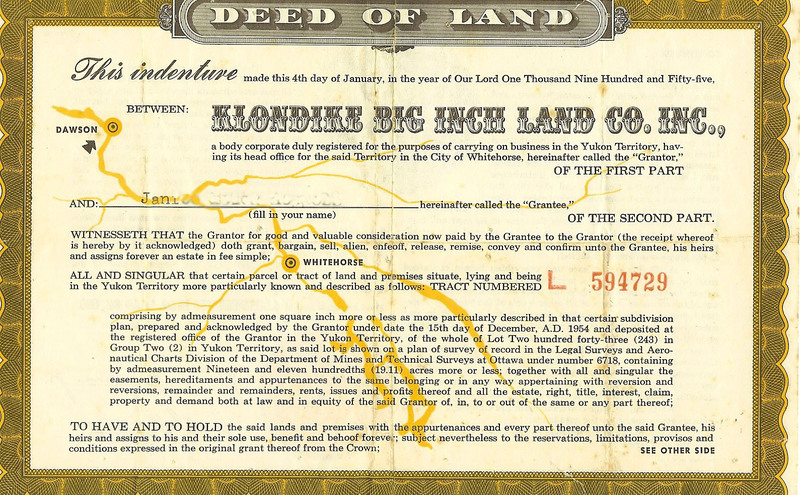 I was so looking forward to being a land baron… it has such a nice ring to it. You are right about the cold, though. I probably wouldn’t have done very well in the snow. Welcome back, by the way! Hi Janis…love your blog! This entry so reminds me of the Woody Allen movie Love and Death where Woody’s character describes his father’s landholdings as a ‘piece of land that he carries around with him all the time’. He pulls from his pocket a piece of grass covered sod…so proud! I remember that one! Perhaps I will carry the Deed of Land around with me to remind me of when I was a big deal (at least in my head). Thanks for visiting my blog! I love the story! But I am bummed that no one actually got their square inch of land. wonder if what they did would even be legal now??? I happened upon you form the Koffee Cat bog, BTW! It looks like I originally commented on my post rather than replied to your comment… duh. Anyway: thanks for visiting! Some of the nicest people reach me through Kate’s blog. Hi Kim, thanks for visiting! Some of the nicest people reach me through Kate’s blog. I’m not sure if it would be legal now, I suspect it would be using one legal loophole or another. 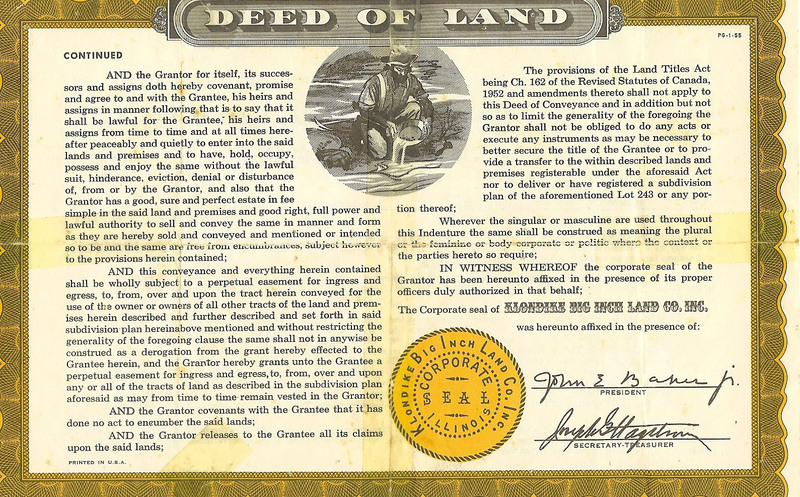 Would you sell the deed? Previous Previous post: What Is Wrong with these People?